Clean Carfax, Purchased new at Porsche South Bay, Arctic Silver Metallic, Driver Memory, Multi Stage Heated Front Seats, Navigation For PCM, Power Seat Package. 2007 Porsche 911 Carrera S Arctic Silver Metallic RWD 5-Speed Automatic with Tiptronic S 3.8L 6-Cylinder SMPI DOHC Clean CARFAX. Recent Arrival! 20/26 City/Highway MPG Call, email or come in to find out more about this and other pre-owned Porsches at Porsche South Bay, a 2018 Premier Porsche Dealer! Clean Carfax, 2D Cabriolet, Atlas Gray, 19" Carrera Classic Wheels, 3-Spoke Multi-Function Steering Wheel, Driver Memory, Navigation For PCM, Power Seat Package. 2005 Porsche 911 Carrera S Atlas Gray RWD 6-Speed Manual 3.8L H6 SMPI DOHC Clean CARFAX. Recent Arrival! 18/26 City/Highway MPG Call, email or come in to find out more about this and other pre-owned Porsches at Porsche South Bay, a 2018 Premier Porsche Dealer! Porsche South Bay is thrilled to offer this exceptional 2004 Porsche 911 Carrera 4S Cabriolet Finished in the iconic color combination of Arctic Silver Metallic Over Black full leather. This C4S is one of the most heavily equipped examples produced with an original MSRP of $104,360 including the following factory options: 6-Speed Manual with Overdrive 342-Heated Seats 416-GT3 Wheel 446-Wheel Caps with Color Crest 680-BOSE High End Sound Package 692-Remote 6-Disc CD Changer 750-Delete Cabriolet Hardtop AH-Black Full Leather CPZ-Thicker Steering Wheel CUV-Storage Cmpt Lid W/Carrera Lgo M6A-Black Mats - Porsche lettering P11-Self-Dim Mirrors & Rain Sensor P16-Porsche Communication Mgt. II P74-Xenon Headlamp Package P82-Technic Package V9-Black Top X1-Arctic Silver Metallic XLF-Sport Exhaust System Y06-Alum/Lthr Shifter/Brake Handle This exceptional C4S Cab has benefited from regular and comprehensive Authorized Porsche Dealer service at Porsche Newport Beach, Beverly Hills Porsche and most often here at Porsche South Bay. The Autocheck and Carfax reports document and unbroken chain of proper maintenance and mileage accumulation. Our comprehensive multi point inspection revealed the need for only a few minor items including the installation of two new Michelin tires, a new battery and throttle body service. It also passed the CA smog check with ease. If you are in the market for an exceptionally clean C4S that has been properly serviced by some of the best Factory trained Porsche Techs in LA and that needs nothing but a new home you have found your 911. 3.6L H6 SMPI DOHC1 ABS brakes, Alloy wheels, Electronic Stability Control, Full Leather Seat Trim, Heated door mirrors, Illuminated entry, Remote keyless entry, Traction control. Clean CARFAX. Recent Arrival! Odometer is 13830 miles below market average! Call, email or come in to find out more about this and other pre-owned Porsches at Porsche South Bay, a 2018 Premier Porsche Dealer! Porsche South Bay is pleased to offer this exceptional example of the last and best version of the second generation 996 the 2004 Porsche 911 Carrera 40th Anniversary coupe. Finished in the 40th’s exclusive color combination of GT Silver Metallic over Dark Grey full leather interior this 911 is one of the most striking examples of this generation. All of the 1963 40th Anniversary 911’s produced were equipped with X51 Power Kit making 345 HP, turbo cooling updates, sport suspension, limited slip differential, turbo style front fascia, GT3 side skirts, 8 & 10 inch 5 spoke polished finish alloys making them one of the mot potent 911’s of the time. This example has benefitted from extensive recent service including new clutch, IMS bearing & RMS, front radiators and new tires. Consistent Paint meter readings and the presence of all original chassis decals, painted in place fender and hinge bolts reinforce our opinion that this is a completely original, unmolested example. The accident free Carfax and Autocheck reports support the low mileage and excellent overall condition with consistent documented dealer service and progression of mileage. If you are looking for an accident and paintwork free, collector quality, low mileage, well serviced 40th Anniversary coupe your search is over! Contact Carl Tofflemire our Classic Ops Director to arrange an inspection and test drive. 6-Speed Manual with Overdrive 3.6L H6 SMPI DOHC Clean CARFAX.18 x 8 Front & 18 x 10 Rear Polished Alloy Wheels, Power moonroof, Rear Window Wiper.Recent Arrival! 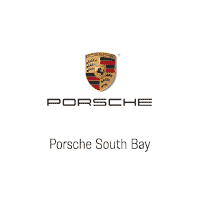 18/26 City/Highway MPGCall, email or come in to find out more about this and other pre-owned Porsches at Porsche South Bay, a 2016 Premier Porsche Dealer! Clean Carfax, 911 Carrera 4S, AWD, Meteor Gray Metallic, Black w/Full Leather Seat Trim, 19" x 8" Front & 19" x 11" Rear Pressure Cast Wheels, ABS brakes, Electronic Stability Control, Heated door mirrors, Illuminated entry, Leather Seat Trim, Low tire pressure warning, Power moonroof, Remote keyless entry, Traction control. 2007 Porsche 911 Carrera 4S Meteor Gray Metallic AWD 5-Speed Automatic with Tiptronic S 3.8L 6-Cylinder SMPI DOHC Clean CARFAX. Recent Arrival! Call, email or come in to find out more about this and other pre-owned Porsches at Porsche South Bay, a 2018 Premier Porsche Dealer!